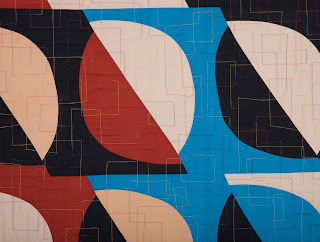 "Black and Blue Moons" has been selected for the Art Quilts XIV: Significant Stitching exhibition -- the 14th annual international exhibition of art quilts at the Chandler Center for the Arts in Chandler, AZ. The opening reception is November 20th, and the show runs through January 2, 2010. 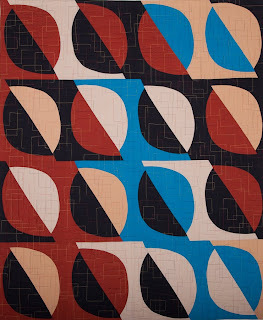 Black and Blue Moons is machine pieced and machine quilted cotton fabrics. It is 56" X 67" and was completed in 2009. The exhibition is produced and juried by Diane Howell and is overseen by the City of Chandler's visual arts staff. To see the roster of artists who are participating, go to http://www.sweeteasyfeeling.blogspot.com/.